We call upon the imagination to guide us into an exploration of our human place in the natural world, to marvel at nature and understand our human journey. The Butterfly Ship, founded in 2013, is a performing arts ensemble that centers our work around an original fantasy story. Our founding crew includes writers, actors, musicians, artists, and dancers who together created a magical full-length musical. This performance tells the story of a girl named Ever, who embarks on a journey through the light spectrum to save her lost world. Our goal is to awaken the imagination of our audience members, adults and children alike, in different types of performance settings, celebrating live art & creativity as an important means of expression. 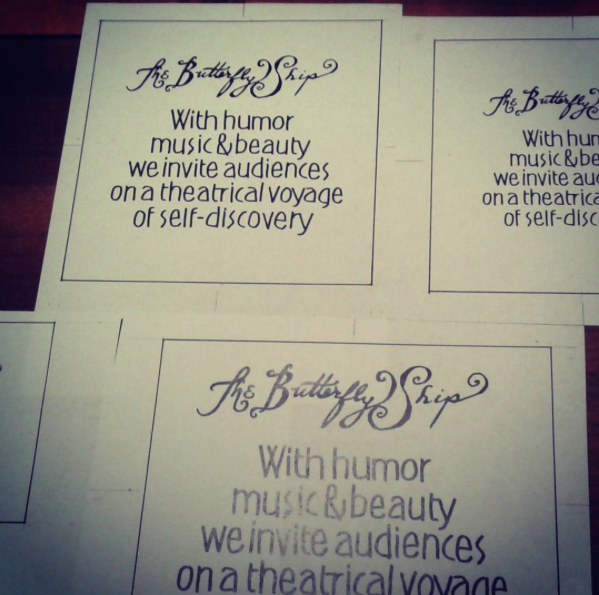 In addition to our musical show "Ever & the Butterfly Ship", we also conduct unique performances, workshops & parties that feature thematic material from The Butterfly Ship. We perform in theaters, gardens, schools, health centers, farms, and restaurants. ​to save her friend, and her lost world. each of the 7 colors of the rainbow.